Israeli Prime Minister Benjamin Netanyahu with Canadian Prime Minister Justin Trudeau in Davos, Switzerland, on Jan. 24, 2018. Photo by Amos Ben Gershom/GPO. “Historic” agreement modernizes 1997 deal, scraps duties for thousands of products, including fresh produce and canned goods • Agreement aims to double bilateral trade • Israeli economy minister: Deal will add competition and reduce the cost of living. Israel and Canada on Monday signed a modernized free trade agreement in what has been described as a historic step in the countries’ bilateral relations. Canadian International Trade Minister François-Phillippe Champagne and Israeli Economy Minister Eli Cohen signed the revised agreement, officially referred to as the Canada-Israel Free Trade Agreement, at the Montreal’s Federation CJA’s Gelber Conference Center. According to the Canadian Broadcasting Corporation, Canada’s top exports to Israel include “industrial machinery and aircraft parts,” followed by “electrical and electronic equipment.” Industrial machinery is also Israel’s top export to Canada. Speaking at the signing event, Liberal Parliament member Anthony Housefather, chairman of the Canadian Parliament’s Standing Committee on Justice and Human Rights, called the agreement “historic.” He said his first speech in Parliament dealt with the need to counter the efforts to boycott Israel. He also called Champagne a true friend of Israel, and said both Cohen and Champagne know how to get things done. Canada’s Jewish population numbers some 400,000, with many holding prominent positions. This, and their large turnout in elections, make them a key constituent for the major parties. “Canada’s relationship with Israel is based on strong economic, cultural and social ties. 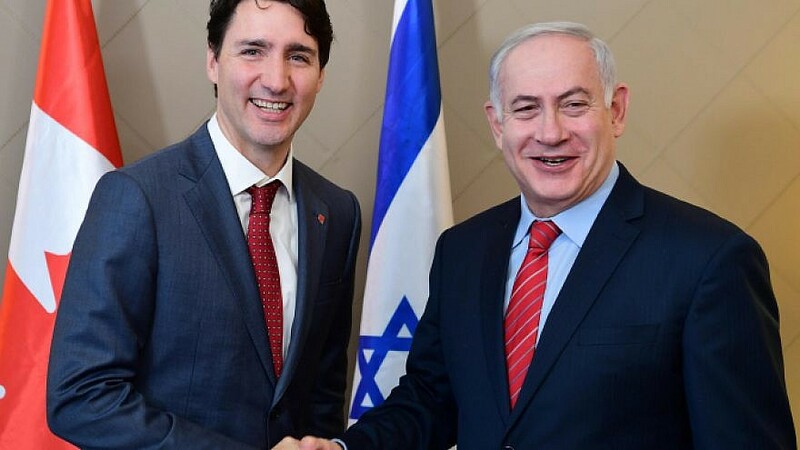 Israel is a longtime trading partner, and Canada’s free trade agreement with Israel has contributed to better opportunities for businesses and economic prosperity for hard-working Canadians,” the Canadian International Trade Ministry said in a statement. He described the agreement as a launching pad for a bolstered relationship. Cohen said Canada was one of Israel’s best friends and that the new agreement would bring more competition and reduce the cost of living. The new agreement will take effect once it is ratified by the parliaments in both countries. The goal of the agreement is to double the scope of trade between the two countries.